Electronic Arts has announced a brand new Nintendo DS title today named SimAnimals Africa. Now you can live out your dream of raising a heard of laughing hyenas while riding the train to work everyday. The DS version also features exclusive animals over the Wii version (which doesn't feature co-op), there's parrots, cheetahs, meerkats, aardvarks as well as surprise secret animal as a reward for finishing the game. My bet is on penguin. Yes there are penguins in Africa...look it up. 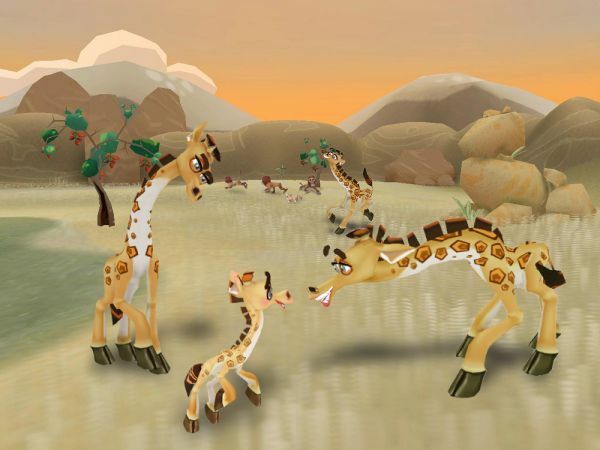 The game has players using the stylus and microphone to interact with the animals, and players can team up in the co-op mode for even more fun. Co-Op allows friends to trade plants and animals and play together to achieve goals faster. In the animal kingdom...faster is always better. Page created in 0.6587 seconds.